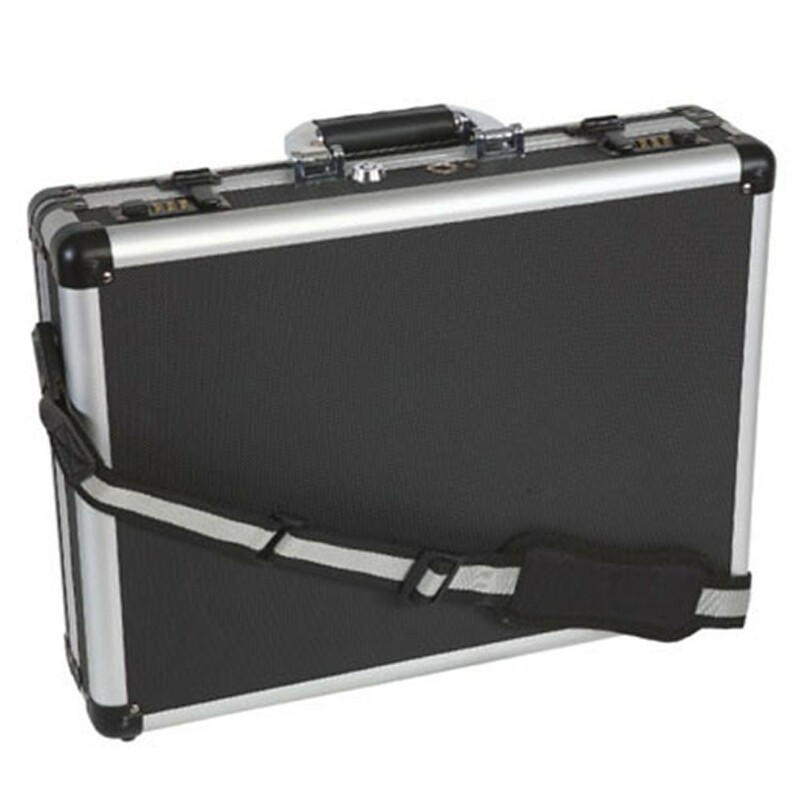 The Phoenix Laptop Case Madrid CL62 is a laptop case with 2 combination locks and an aluminium body. 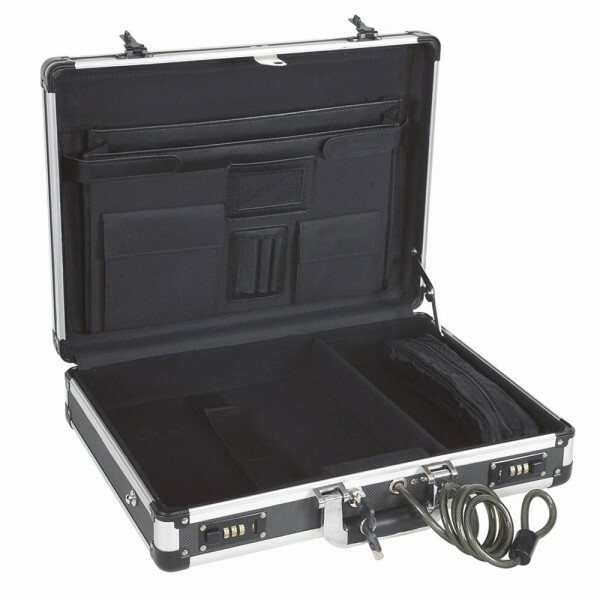 It is fitted with a high security detachable cable which allows you to secure the case onto a fixed point and is suitable for use in the boot of a car, hotel room or office environment. Its interior is lined with high quality materials which protect your laptop from damage and has filing compartments to store your other documents. The Phoenix Laptop Case Madrid CL62 is supplied with a zipped cable bag which allows you to keep all your cables in order and a high quality shoulder strap for easy carrying.